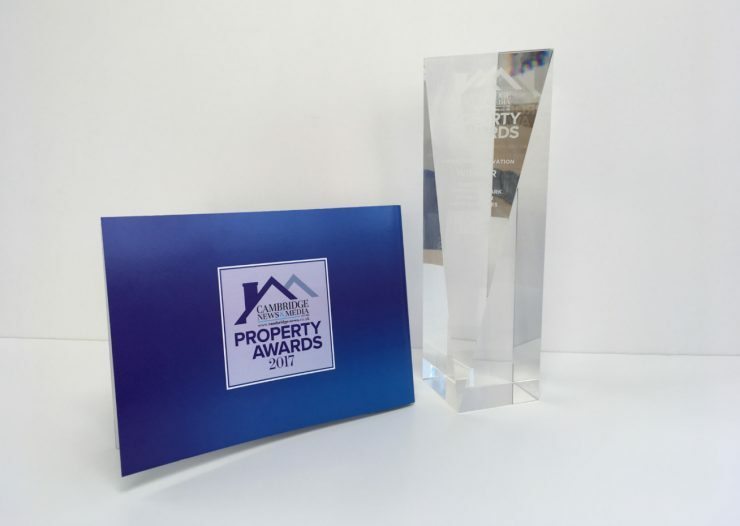 The third annual Cambridge News Property Awards took place on Thursday, 7th December 2017, celebrating the finest properties and developers across the local area. The guest speaker was Alistair Appleton, the presenter of the BBC’s ‘Escape to the Country’. During the dinner, Paragon Land & Estates Limited was awarded the coveted ‘Innovation of the Year’ prize for our work in building Cambridge Innovation Park. The award was sponsored by Barr Ellison and presented by Elizabeth Deyong.